"Get your our own network protocol. up and running in 5 minutes - with just one config file!" Exceptions from server-side have to be deserialized and rethrown on client side, in order to obtain the proper stacktraces; not having the stacktrace could be good for production but it is convenient to at least have an option to enable them during dev/test. Remember that Thrift composes its payloads in-memory (at least in 0.9.1 which we used in production). So you need to allocate sufficient memory to the server process, based on the number of expected concurrent client requests. If your payloads come from a database, it may be useful to introduce an intermediate in-process caching layer in order to reduce concurrent DB load. This may also help in reducing memory consumption as you can reuse the same read-only payload (e.g. byte array) for serving multiple client requests. We use Thrift as the principal transport for internal configuration and artifact transfer, in our On-Premise Enterprise Integration Platform product: https://www.g2crowd.com/products/ips-enterprise-integration-platform. Thrift has been scalable, solid and performant in serving large messages/payloads to several concurrent container runtimes. "Good for sending structs between microservices"
Order of the structs do matter using Apache Thrift. So if the second struct is a field in the first struct, there will be errors. To get around this, any struct which is a field of another should be put above the ones that use them as fields. There are other branches of this tool which take care of that bug. Useful when having multiple micro services which use different languages to code in. Able to generate files for those structures/objects for each language. The best feature that I found in Apache thrift is it's ability to compile server and client code for different target languages using a common thrift interface description file. With this feature, it is possible to develop your server-side interface in one language, say in Java, and generate client stubs in different languages including Java, C++, PHP. Apache thrift is a well stable open-source project which is also highly efficient. Appart from that is also easy to work with and the growing list of language support is also a plus. We used thrift as the communication layer between the distributed software components. Such a communication layer was helpful in most of our microservices architecture applications. "best platform for developing cross-platform cross-language services!!" the best thing about it is that it supports lot's of languages like c,c++, java ,c# ,python etc. here by doing RPC calls we can transfer huge amount of data across different OS's and different languages , it uses binary protocol so it doesn't have any overhead like JSON and XMl and it's beneficial for java haters because it's build in c++ so no need to touch java, we can also use it with hadoop and Casandra !! it doesn't support Scala officially , generating code using thrift file is little bit difficult for beginners ,for establishing communication with server we need write socket communication code using binary protocols and that's overhead for any software developer!! if you want to build cross language or cross-platform services than you should use it and it uses binary protocol in which we don't have to face any overhead like JSON and XML, but you should be ready to write some socket level code !! we use it to develop cross language services mainly using Cocoa, java , python , Node.js!! It is the fastest way to connect two or more different platform so they can work together in a system. Now you can divide your system into totally separate modules or severs with totally different technologies and still you can connect them as if they are a single server. maybe more documentations and examples will be great. it is a great way to connect different system module together so you can get the best of every technology separately. we are using it to connect multiple application servers together like api server and authentication server. This enables us to separate different roles on different servers with different technologies and still be able to work together as a unit. 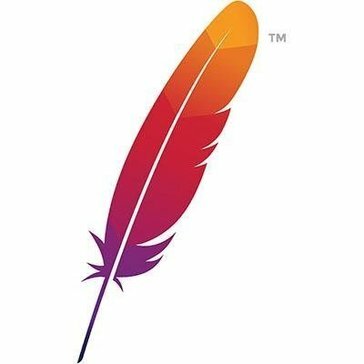 Although it was initially developed by Facebook, it's now open source under the Apache License. Easy to read definition files. Considering that Thrift's WSDL documents tend to be smaller and more straightforward means that it has easy to read definition files. "This is an awesome product!" Incredibley easy to use! There is a bit of a learning curve but after a couple of months you get the hang of it! I cannot imagine working without it now. I think we can work on boot up time. It take significantly longer to load than anything else on my computer. I am not the only one, I am sure. Try it, you will not regret it and if you do they will help you. The greatest benefit is just the amount of time I save and also the more work I am able to get done using it! My company is a fan of Apache and we have used many products before. But Apache Thrift brought with it some versatility that we were able to use to our advantage. We run a website that is visited by over 10,000 people daily from all backgrounds and Thrift helped us set up an interface where many languages were supported. It was a good overall program only issue we had was integrating the language it’s written in as we primarily use .net and c# but we were able to get support to integrate it into our framework. "Full stack support for client and server creation"
The simplicity of the software. Can be used with several languages making it easy to work with clients. Can be used across several networks. The large data handling can create issues. Better support would help as well. Errors in use with some applications. The definition files are easy to read due to the WSDL Docs being smaller so it creates less headaches! The cross languages between software being developed helps broaden. Connecting several servers with different technology makes this great! The software made my job very easy and isn't hard to work with at all. I've had software where it takes time and effort and thrift is extremely simple. Thrift is a crafty innovative interface capable of performing multiple functions at once and can connect applications written in many different computer programing languages. A very dynamic platform. I have no complaints with utilizing Thrift It's better than some alternatives out there and allows for more freedom because it's the dynamic platform. Using Thrift allows us to better measure scalability which improves uptime, and helps with overall Release Cycle and Performance. I do like the interface for apache. When i first reviewed the protocol on the software it was very user friendly. I kept having issues with the languages taking a file as an input. After consulting the manual i was able to work around it. We have been able to expand this software to new clients and internal users. Great feeback on apache. Lack of community support and consumer are less. "its so easy to use"
Foursquare uses Thrift extensively for RPCs, for describing/defining (nearly) all records we store in Mongo and other data stores, and for serializing/deserializing records for Hadoop MapReduce jobs. "A top performer in serving multiple languages"
A very efficient and enterprise quality interpreter. It’s hard to think of anything negative to say, but I guess I’ll say what I always say about these server level software solutions; more human friendly interaction is never a bad idea. We were able to serve to multiple languages on our project. "Apache Thrift is worth it"
I like the fact it supports so many languages including Java, Ruby and PHP and Python. I dislike the user experience and user interface. Thirft was very handy for my colleagues at Futureheads Recruitment, I learnt a lot about Thirft when I was employing people in technical roles. Apache Thrift is really easy to use. It's great on both the front end and back end. Sometimes maintenance times are long and at inconventient times. Just know that it takes a little getting used to. * We monitor all Apache Thrift reviews to prevent fraudulent reviews and keep review quality high. We do not post reviews by company employees or direct competitors. Validated reviews require the user to submit a screenshot of the product containing their user ID, in order to verify a user is an actual user of the product. Hi there! Are you looking to implement a solution like Apache Thrift?